Obituary – Jackson, Steven Carl « Perry High School Alumni Association, Inc.
﻿Wrestling 64-67, Wrestling State Champ 66, Wrestling State Runner-up 64, Baseball 65-67, Football 65-67, F. C. A. 65-67, F.C.A. Delegate’s National Conference 66, Jr. Play 65-66. 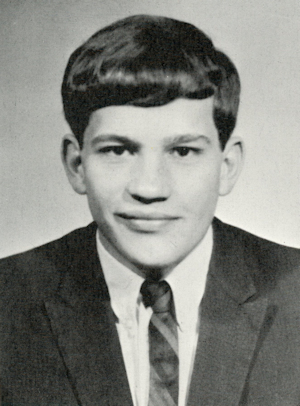 ﻿Steve Jackson, 20, died about 7 a.m. Thursday, January 2, 1969 in St. Anthony hospital at Oklahoma City with multiple head injuries received in a one-automobile accident early New Year’s day on Fifteenth street, south of Cedar. 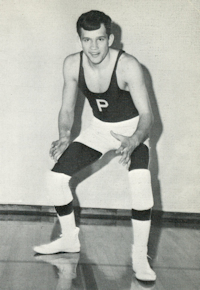 Jackson, a two-time state champion wrestler while at Perry high school, was born Sept. 29, 1948, in Hot Springs, S.D., the son of Mr. and Mrs. Carl Jackson. The Jacksons moved from Perry to St. Francis, Kan., in 1959, but returned here to make their home the following year. Jackson graduated from Perry high school in 1967, and was a sophomore at Northern Oklahoma college in Tonkawa. While at PHS he was outstanding in athletics. He won regional and Big Four tournament wrestling championships in addition to state championships as a junior and senior. In football, he was chosen for all-district and all-conference honors as an end in his senior season. A member of the Fellowship of Christian Athletes, he had attended a national FCA summer camp as a Perry delegate. In addition to his parents of the home, survivors include two younger brothers,	Dan and David.